Can you say ‘OctoNovemCember’ three times fast? I can’t either. Good thing you don’t have to… you just need to be able to go to OctoNovemCember at RetailMeNot.com, where the enchanted shopping season for one-day-only sales are good every day, and take advantage of the awesome deals! I’m not an early Christmas shopper, although I have good intentions, but I generally start shopping the very end of October. And, I love using Retail Me Not to find gifts that I know my family and friends will love, without breaking the bank. Besides, I do 90% of my shopping online… especially during the holidays. I’ll do whatever I can to avoid the long lines and crowded aisles. So OctoNovemCember at RetailMeNot.com is perfect for me. It’s nice that you not only get great savings from October, November, and December, but all year round. Be sure to enter the OctoNovemCember Sweepstakes for a chance to win $1000 shopping spree by sharing the Pumpkin-Headed Turkey Claus video. I don’t know about you, but a $1000 shopping spree would be very handy around the holidays. The more times you share, the more entries you get (up to 20 entries) and one winner is picked each week. So get to sharing! I know I will be. 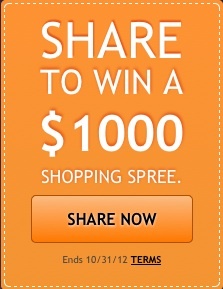 Disclosure: This is a sponsored post from One2One Network and RetailMeNot.com. All opinions stated are 100% my own. 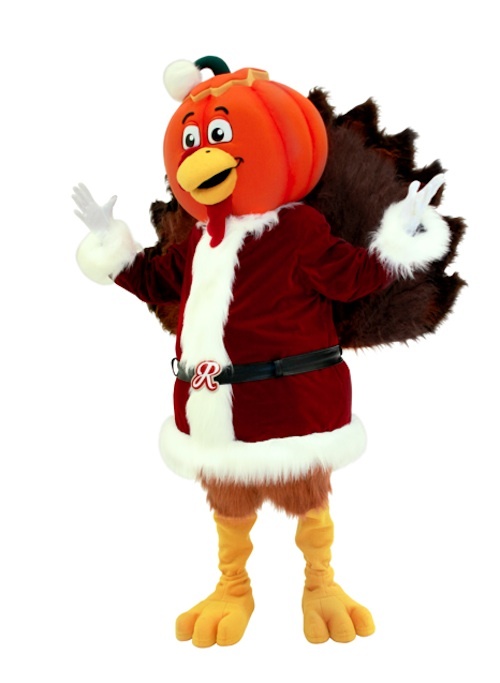 Pumpkin Headed Turkey Claus…lol, just rolls off the tongue. Not at all. Great name for this season since it all goes by in a blur! Crazy!! lol He looks scarier than the original! I love that costume. It’s so quirky and original.